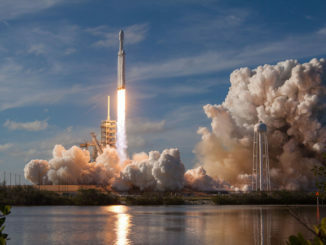 More than two dozen satellites from the U.S. military, NASA and research institutions will ride into orbit on SpaceX’s second Falcon Heavy rocket launch, a mission currently scheduled for liftoff in June, a military spokesperson said. 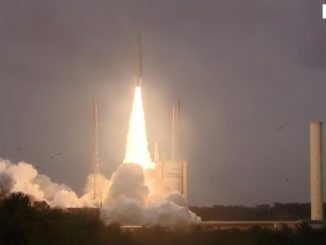 Unimpeded by rain showers and a dark gray blanket of low clouds, an Ariane 5 rocket thundered away from a European-run space base in the jungle of French Guiana Tuesday to place four Galileo navigation satellites in orbit, an on-target deployment that should improve the location accuracy of new smartphones around the world. 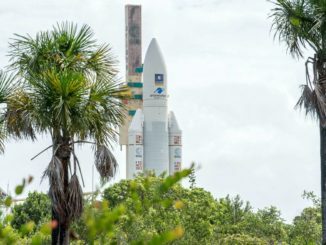 Four European navigation satellites fastened on top of an Ariane 5 rocket lifted off from Kourou, French Guiana, at 1836:07 GMT (1:36:07 p.m. EST) Tuesday to propel the Galileo navigation network closer to global service. 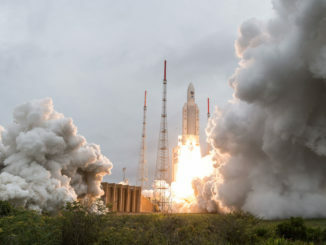 The Ariane 5’s upper stage delivered the spacecraft to a circular orbit more than 14,000 miles above Earth around four hours after launch. 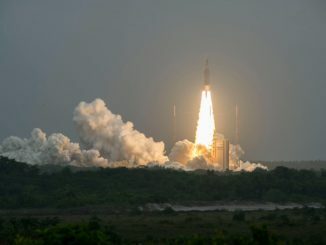 Mounted on a mobile platform, a European Ariane 5 rocket followed dual rail tracks across the Guiana Space Center in South America on the way to its jungle launch complex Monday, a day before its scheduled blastoff with four satellites to expand Europe’s independent navigation network. 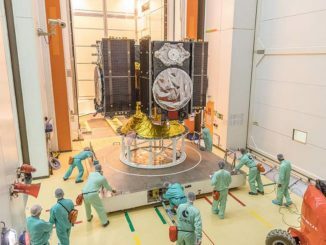 Technicians working in the jungle of French Guiana have installed four new European Galileo navigation satellites on top of their Ariane 5 launcher, and filled the rocket’s upper stage with storable liquid propellants for liftoff Tuesday. 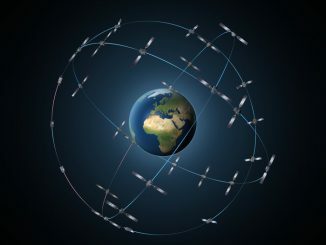 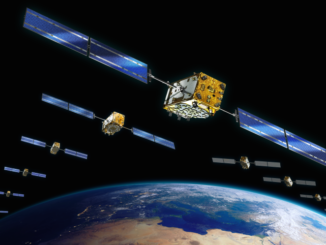 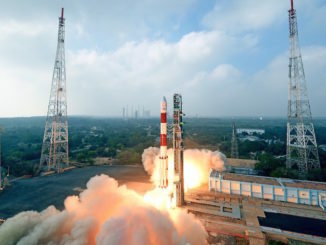 Eight more satellites for Europe’s Galileo navigation fleet will be built by Germany’s OHB System AG and Britain’s Surrey Satellite Technology Ltd. under a contract worth more than $350 million. 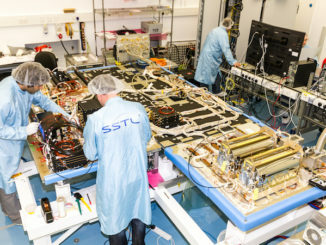 A wave of clock failures on Europe’s Galileo navigation satellites has not knocked any of the craft offline, but officials want to better understand the problem before launching more satellites into the fleet.